An Umbrella Heaven exclusive, this purple flower umbrella design really is something to appreciate. These sensational purple flower umbrellas are one of six different colours in our new flower design umbrellas range. 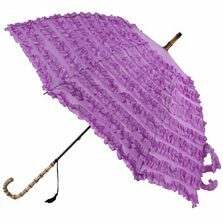 Heads will turn as you parade down the high street with this simply divine purple flower umbrella. With a striking, vibrant, hi-resolution printed purple floral design, the canopy of this 8 panelled traditional wooden crook handled walking style parasol consists of a double layered polyester canopy for added protection from the rain or the sun. These purple flower umbrellas feature flexible fibreglass ribs that help the umbrella to maintain its shape during its war against the wind. Purple, they say is a royal colour. It’s a colour you either love or really love. 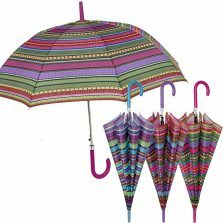 This is the kind of brolly that you can use for a special day out or just pop it up on your next trip to the shops and see those smiling faces. 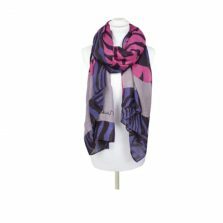 The quality of the printing on this delightful purple floral umbrella is something you’ll really appreciate when you view it close up. With their unique double canopies these purple flower design umbrellas look just as good inside as out. 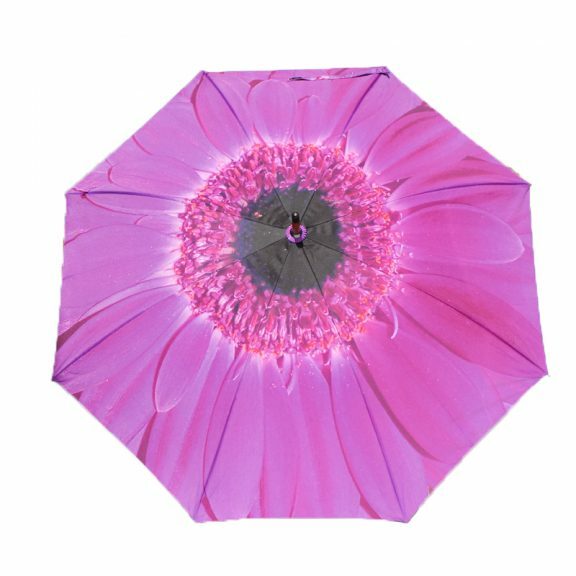 This fantastic floral umbrella has a handy auto-open feature to keep you dry at the push of a button! At 103 cm in width when open, this perfect purple flower umbrella is sure to comfortably shield you and a friend from the elements. 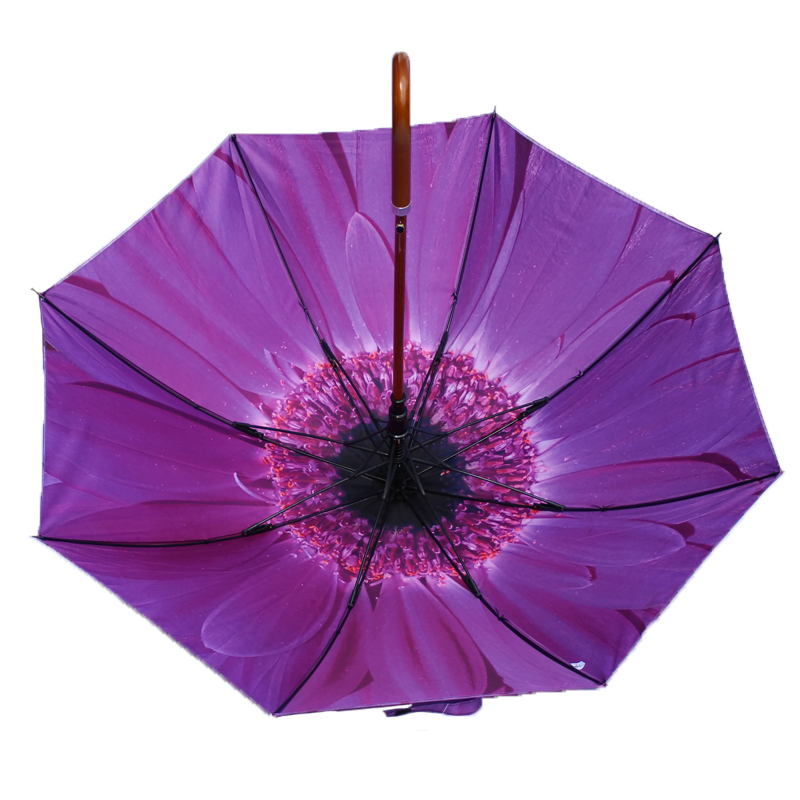 This fun flower brolly really does make a great gift for anyone, no matter what the season! 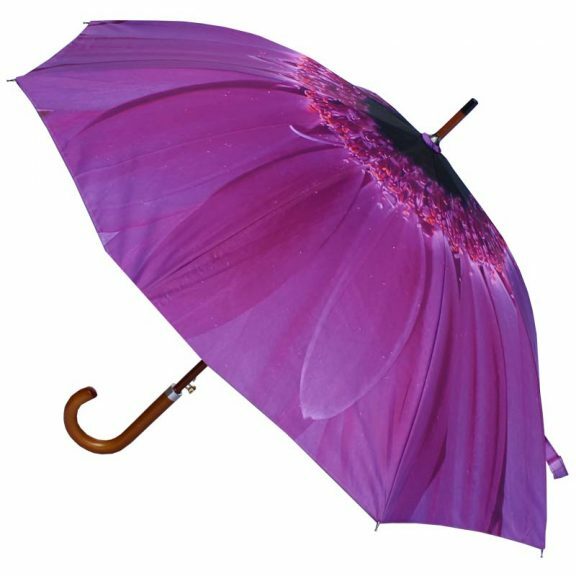 Our exclusive purple flower design umbrellas are part of a range of six different flower umbrellas. The other colours are red, orange, yellow, blue and pink. 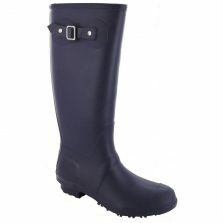 Not the right colour for you? Check out the rest of our flower umbrellas!